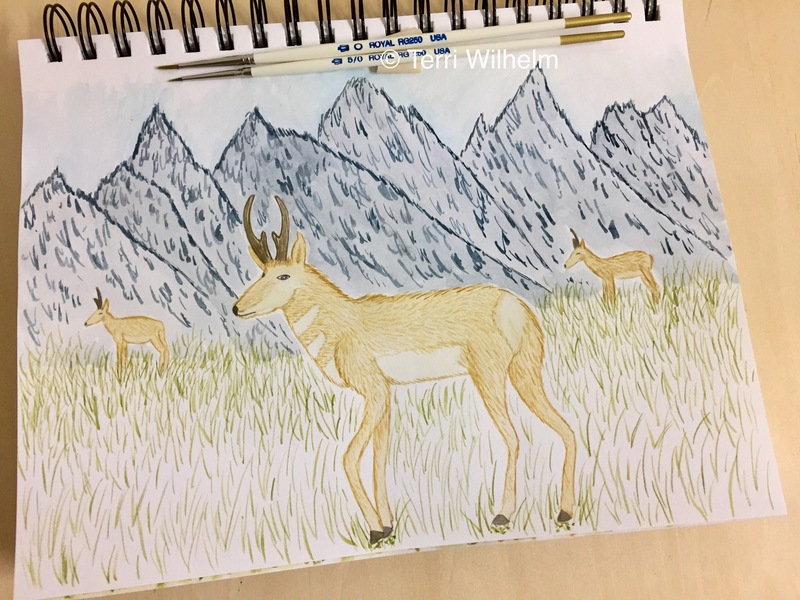 My theme for October is national parks wildlife, so week 43 in my animal art series features a pronghorn antelope. You may have sightings of these animals in the Yellowstone National Park. Pronghorn antelope live in grasslands, and can run sprints at 45–50 miles per hour. Can’t wait to turn these sketchbook pages into fun new digital art! At the end of this month’s theme, it would be fun to use these animal drawings for a series of illustrated maps of the national parks. Or turn them into postcards.